I baked this crumble tart for St Patrick’s Day. I’m not a gourmet kind of a cook but I know how to weave a bit of magic with some ingredients with minimal fuss. The town I live in now is not the town I grew up in but over the years we have become so embedded in the area I can’t imagine living anywhere else. 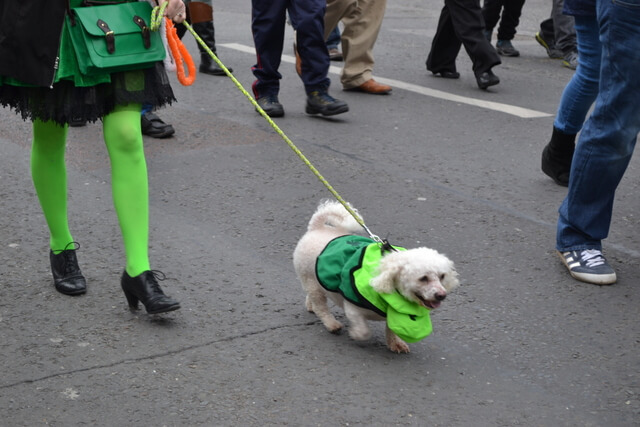 On St Patrick’s Day we get to walk a mere 10 minutes down the road to enjoy everything that a country parade has to offer. 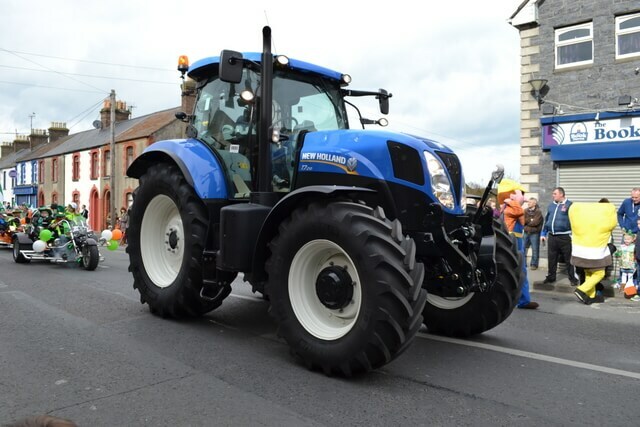 There were tractors galore which the kids loved. You can see behind some three-wheeled motorbikes along with just in front of the passenger front tyre there is Spongebob & Bob-The-Builder making a guest appearance. 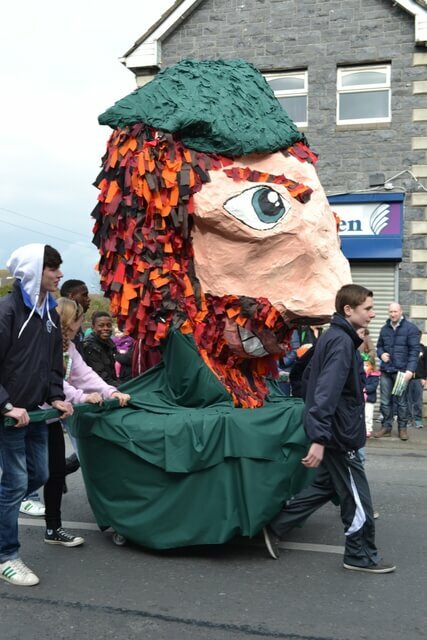 This giant papier-mâché head was made by one of the local second level schools. I think it was of St Patrick. They put so much time and effort into their display. I reckon that half the town walked in the parade and the other half stood at the side of the road to cheer them on. Going to the local parade is a stress-free option and we stroll home every year and have a cup of tea in hand less than 20 minutes after the last group pass us. So what if it doesn’t have the pomp and ceremony of the capital’s parade. 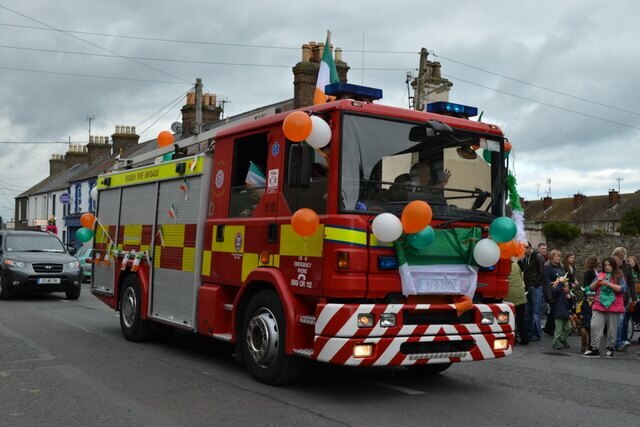 This parade is all about showing pride in your locality and all the people who make it so special. 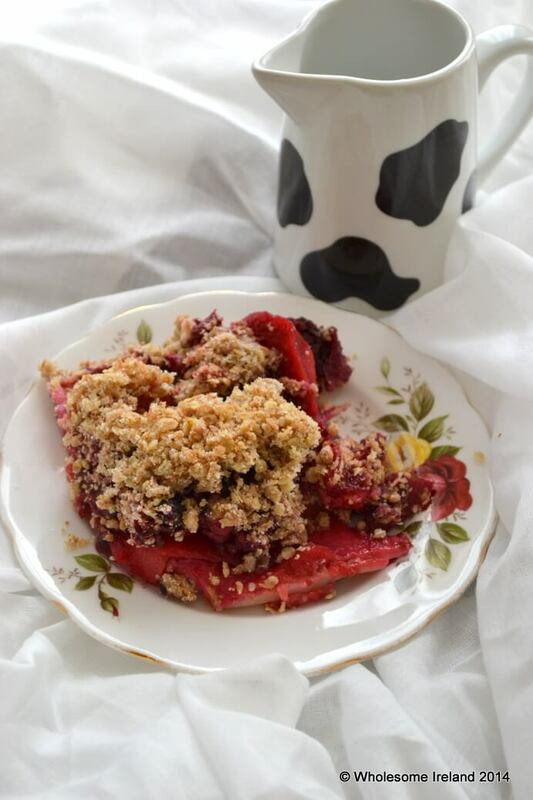 Before we went out to the parade I popped the crumble tart in the oven on low and that cup of tea I mentioned washed down a warm slice with a drizzle of cream. Grease and line a rectangular baking tin (I used 19cm x 26cm x 10cm deep) and preheat your fan oven to 160 degrees Celsius. Line the baking tin with the roll of pastry, making sure it comes up all four sides. Prick the bottom well with a fork. Peel, core and chop the apples into bite-sized chunks. Mix in a large bowl with the frozen berries and 75g of caster sugar before pouring on top of the pastry. Now rub the butter and wholemeal together in the bowl until you get a breadcrumb like consistency, next add the remaining sugar and oats to the bowl. Stir well so that all the ingredients come together then sprinkle over the fruit. Do not press it down. Make sure that the crumble is sitting lightly on top. This is important! Bake the crumble tart in the oven for 90 minutes. Allow to cool slightly before lifting it out of the tin and slicing. Otherwise it will crumble a lot. It’ll be perfectly edible though!